TORRANCE — El Camino College welcomes NASA astronaut Capt. 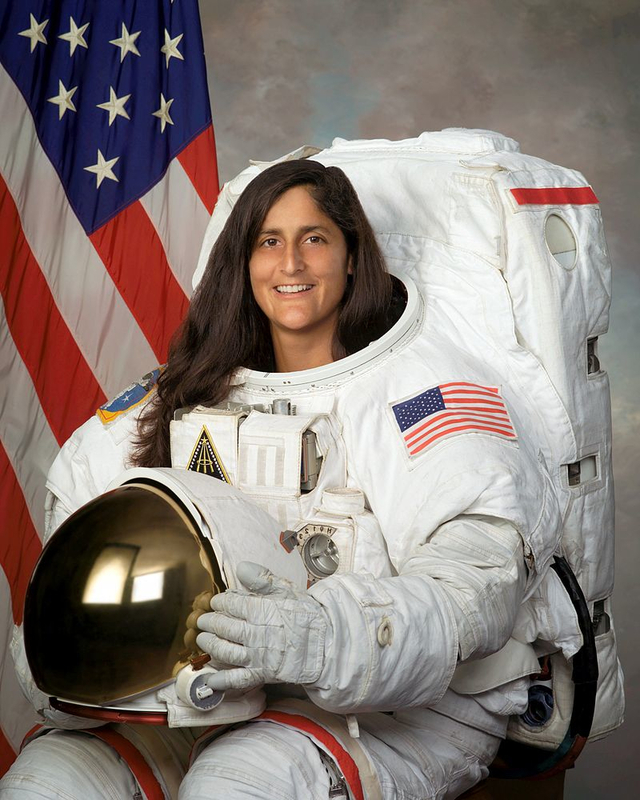 Sunita Williams to Onizuka Space Science Day 2016, scheduled for Saturday, March 5, from 8:30 a.m. to 1 p.m. in Marsee Auditorium and science classrooms. The event is free and open to serious-minded science students in grades five through 12. Sponsored by El Camino College and American Honda Motor Co. Inc. and coordinated by the ECC Astronaut Ellison Onizuka Memorial Committee, the youth science day is dedicated to Ellison Onizuka, a space shuttle Challenger astronaut who perished along with six other crew members during the tragic events of 1986. Jan. 28 marked the 30th anniversary of the accident. Williams, who has spent a total of 322 days in space, will give a presentation and answer audience questions. Williams began training with NASA in 1998, and then worked in Moscow with the Russian Space Agency on the Russian contribution to the space station and with the first expedition crew. After other assignments, she served as deputy chief of the Astronaut Office. She then supported a long-duration mission as flight engineer for Expedition 32 and International Space Station commander for Expedition 33. She ranks sixth on the all-time U.S. endurance list, and second all-time for a female. With 50 hours 40 minutes, she also holds the record total cumulative spacewalk time by a female astronaut. Williams has a bachelor’s degree in physical science from the U.S. Naval Academy, and a master’s degree in engineering management from the Florida Institute of Technology. She received her commission as an ensign in the U.S. Navy from the U.S. Naval Academy in May 1987. After training, she made overseas deployments to the Mediterranean, Red Sea and Persian Gulf in support of Desert Shield and Operation Provide Comfort. In September 1992, she was the officer-in-charge of a detachment sent to Miami for Hurricane Andrew relief operations. She was then selected for U.S. Naval Test Pilot School. She has logged more than 3,000 flight hours in over 30 different aircraft. Onizuka Space Science Day activities will feature various hands-on activities and demonstrations in astronomy, physics and chemistry, along with a free lunch for the first 900 students. To register, email [email protected] For more information, go to www.elcamino.edu/academics/naturalsciences/onizuka-space-science-day/ or call (310) 660-3487.